This idea came out in Berlin at the end of the summer, a few hours before the European opening of the E+I Tour. As a french magazine had just published its ranking of all Michel Sardou’s songs, Cyril was walking through it with the greatest enthusiasm. Damn it, let’s do that! What a better time than the twilight of a long and rich career to finally embark on this final exercise? So we listened again to the entire studio discography of the Irish. 229 songs to be precise. We methodically and rigorously ranked them from the worst to the most exceptional. Here is the result of this exciting work: the ultimate ranking of all U2 songs, for posterity. We needed one and this is it. 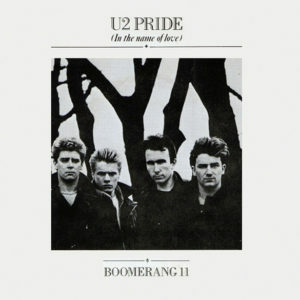 Boomerang I (yes there is a version II to this masterpiece) is therefore the worst piece of U2's career. A track on which Bono didn't bother to sing and which looks like a leftover from the studio sessions with Brian Eno. Boomerang I lasts barely three minutes but seems, like a tribute to its very appropriate name, to literally loop around. Apart from The Edge, everyone is bored. Originally released from the War sessions, this demo was dusted off in 2008 when it was time to find something to fill a bonus disc to remaster the album. The piece - which is dusty - rests on Adam's bass line as well as the piano and the "oh oh oh oh" of The Edge. Bono's voice, on the other hand, dates from 2008 and provokes a strange anachronism. This instrumental remix of Zoo Station is fun during the first minutes but quickly reveals its profound lack of interest and its particularly repetitive character. Not good enough to emerge on the B side of an Achtung Baby single, the track finally found itself four years later on the B side of Miss Sarajevo's single and as a bonus track of the Japanese version of the Passengers' album. What a career. No one knows who Johnny Swallow is and that's fine. The Edge would have revealed that this song was an experiment, recorded in haste at a time when the band absolutely needed a B-side for the Fire single. The music is not great, the lyrics either, the only interest of the title was finally to wonder who the title of the song was referring to, before falling into oblivion. In 1983, U2 was not yet talented enough to afford to get out of the quality B-sides. The one for Two Hearts Beat As One is in line with this line of instrumental tracks created because it was necessary to fill a 3-minute range. It should be noted, however, that Adam gives us two lines of text, the only ones in the song and the only ones until Your Blue Room nearly fifteen years later. "Where do we go from here?". Far away. 4th of July, named after the birth of one of the girls of The Edge, is an ambient piece inspired by Brian Eno as Adam nonchalantly scraped his bass at the end of a day at the studios. It's the only instrumental track to have been released on a U2 album and it's also the worst track from an album in our merciless ranking. The song has no other interest than Adam's bass line and the soaring atmosphere typical of the Eno / Lanois duo. A demo from the Joshua Tree era, Rise Up was released as a bonus when the album was remastered in 2007. The title is far too repetitive to deserve a better place in our ranking. Nevertheless, it impresses us with its joie de vivre and especially with its characteristic guitar sound evoking the future riff of With Or Without You. Note that an unidentified individual sings the first verse. Released as a B-side for Where The Streets Have No Name, Race Against Time is a quasi-instrumental song based essentially on Adam's bass melody. 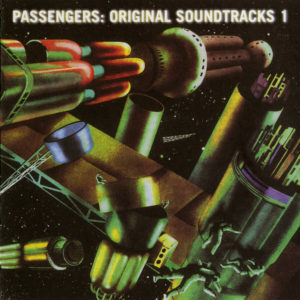 If it hasn't been a B side, this track could have been part of the soundtrack of a small independent film or on the famous Original Soundtrack 1 of the Passengers. 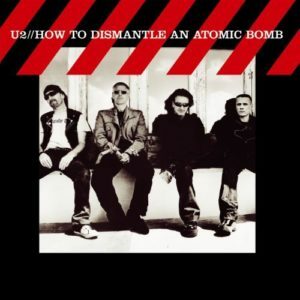 The problem with the multiple remastered releases made by U2 in the 2000s is that we were rewarded with a whole host of studio scraps, unfinished work, and other pieces that we should never have heard of. Yoshino Blossom is one of them. An uninteresting instrumental piece that gives pride of place to The Edge (piano and guitar). To be listened to once out of curiosity, no more. From the sessions of All That You Can't Leave Behind, Flower Child had the potential to make a track as bad as Wild Honey. The light melody is there, the futile lyrics too, and it seems endless. As for Adam and Larry, they are absent subscribers. We wonder how the U2s were able to deprive themselves of throwing this at us in an acoustic version on a b-stage. In their post-Pop delirium back to good feelings and commercial success, the U2 must have told themselves that a preaching for peace in the world was essential on All That Can't You Leave Behind. Unfortunately, the inspiration was not there. This title is the most poorly ranked title of all the 2000s. However, it is worth mentioning this judicious live version of Walk On as an introduction to the "America Tribute To Heroes", a tribute concert following the attacks of September 11. This means that even a title of this kind can have a moment of grace. If the process of setting the poem "America" by Allan Ginsberg to music may seem interesting, one wonders how it could have achieved such a result. Obviously Brian Eno has made his own little personal kiff on a soundtrack based on electronic drums and synthesizers. Where the hell is U2 in there? 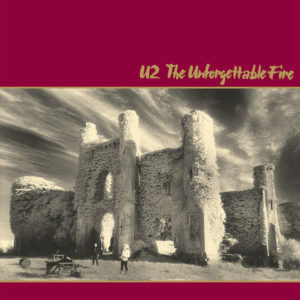 Released in 2008 as part of the bonuses of the remastered version of Boy, Saturday Night reveals that the U2s were already working at the time on Fire, the single from the October album. We discover a demo version, whose lyrics are totally unfinished but the music is almost finished. To recommend warmly to Fire fans, that is to say not many people. 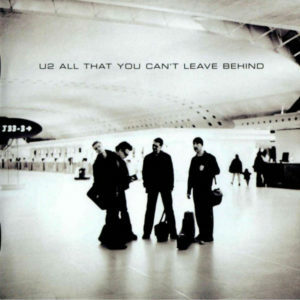 Bono must have found some irreverence in ending an album with a track called "Is That All? This track is a huge mess with no real lyrics and a guitar riff cheerfully pumped up on The Electric Co. Certainly the worst album closure of the band's career. Described by The Edge as a raw "jam" but very fun to record, Sixty Seconds in Kingdom Come is above all a very repetitive and rather long-lasting instrumental piece. Released to furnish the B-side of the Unforgettable Fire single. 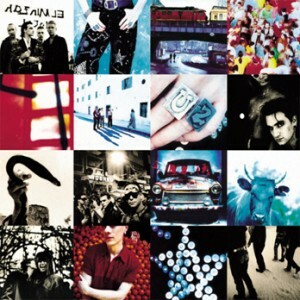 Published in 2011 on the re-release of Achtung Baby, Near The Island is an instrumental demo that lacks relief but whose melody strangely evokes Mothers of Disappeared. The song was also named "Night Train to Rostock" on some press releases, probably in homage to its soporific nature. 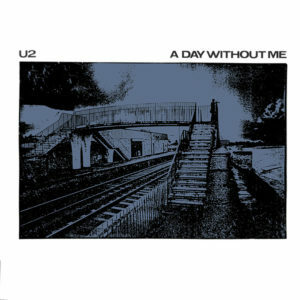 Boy's seventh track is also one of the shortest tracks on the Irish discography. It's a minor title, despite an interesting subject - the young Bono facing his future as a rock star. It was the subject of an unexpected and useless revival in 2018, but not enough to save it from the abyss. If the ocean is vital to our fragile planet, The Ocean is frankly useless. 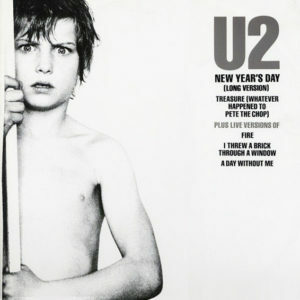 This piece, atypical in the band's career, is based on a floating instrumental on which Bono comes to place a torn voice reciting a poem by William Blake. 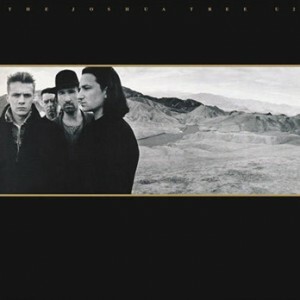 The track was released as a demo of The Joshua Tree in the Complete U2 collection in 2004. It seems that Bono's voice was recorded on this occasion. It should be noted that more than twenty years later, the group will reuse the same reference to Blake to build its concept of Innocence and Experience. Not enough to make this title a must have. Take Boomerang I, the illustrious last of our ranking, shake a little, add a good minute and a half and a semblance of repeated words almost in a loop. The title wins the trifle of 20 places. But there's nothing to make it "a big B side" like The Edge - very forgiving about his own work - seems convinced of it. 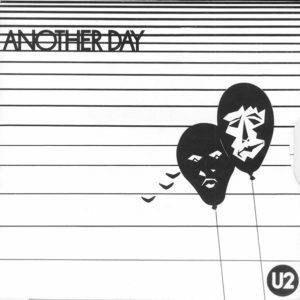 Technically Another Day is the first single from U2, it should be pointed out to Bono who seems to think it's been I Will Follow for forty years. Recorded in December 1979, the track was released as a single in February 1980 and succeeded the EP "Three". Although it lays the foundations for the future U2, the whole thing is still very approximate. The Edge's guitar lacks brilliance and Bono furniture (already) with "oh-oh-oh-oh". Speed Of Life was once a track on which the band seemed to rely, to the point of playing it about ten times in concerts at the very beginning of their career. Not up to the task, he was nevertheless abandoned when it came time to finalize the Boy album. The track that finally came out when the album was re-released in 2008 has lost its lyrics and is limited to an instrumental version without much interest. Note the finale which has some similarities with a certain Out of Control. Grace deals with grace in a biblical sense and it is already too much of a burden to bear for the closing title of All That You Can't Leave Behind. 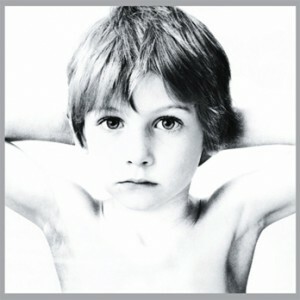 U2 is not always well inspired when it comes to finishing an album and Grace is perhaps the best demonstration of this. So if Bono adds one of his mystical delusions to it, the cup is full. A title that is useless, does not communicate anything and bores us from beginning to end. By Bono's admission, Joshua Tree is an incomplete album because it is impossible to appreciate With Or Without independently of Luminous Times and Walk To The Water. These three tracks are supposed to form a trilogy and were gathered on the single of With Or Without You. Let him be reassured, we are able to appreciate it very well without Walk To The Water. This B side offering only a thin one satisfies for the final "let me love you" and the mini solo of The Edge that accompanies it. The anecdote is that this title was inspired by a moment experienced by the members of the group as they crossed the border between West Berlin and East Berlin asleep in the back of a van during the Boy Tour. And indeed, we don't see what other more insignificant event could have stuck to this insipid piece. Who still remembers the existence of this piece? Even the most ardent defenders of How To Dismantle An Atomic Bomb can hardly defend A Man And A Woman. 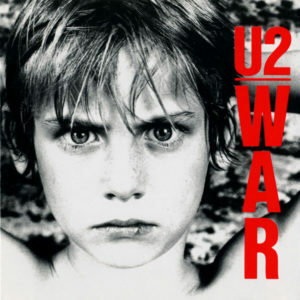 Bono, accustomed to sentences from other countries, declared in 2004 that he wanted to use this title to "bring together The Clash and Marvin Gaye in the same song". The result is perplexing. With A Shout is a good symbol of October's weakness. There are some good ideas but it is difficult to remember anything other than the guitar riff that is looking for itself a little and Bono that squeaks "Je-ru-sa-leeeem" for four minutes. 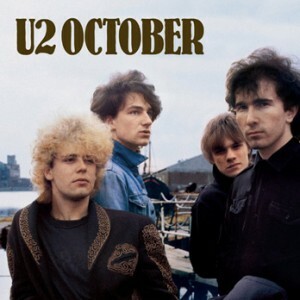 The Fool has the merit of being probably the oldest recording of U2. The title dates back to the autumn of 1978, during the second studio session in the group's history. His only interest is there: to discover the Irish at the very beginning of their apprenticeship, with their simplistic sound, an almost imperceptible melody, The Edge trying a wobbly solo and all this with a very rotten mix. Released on the B-side of "A Day Without Me", Things to Make And Do is an instrumental piece that has long had the particularity of being the only instrumental piece to have been performed live by the band (it has since been joined by the famous "Return of Stingray Guitar"). But above all, it has the good taste to last only two minutes, which is more than enough. Treasure has the particularity to take up the melody of a pop demo that the band had composed and immediately abandoned in 1979 to Paul McGuinness' great dismay. The latter kept asking them what had become of that famous demo called "Pete The Chop", and it was to calm him down that the U2 recorded Treasure three years later. This anecdote being the only interest of this track released on the B side of New Year's Day. Wild Honey only owes its presence on All That You Can't Leave Behind to Brian Eno who thought it was "great". Proof if anything that the Englishman has not only brought great things to the group's career. Dear Larry later soberly confided that "it wasn't one of his favorite[songs]". The vast majority of fans probably agree with this opinion because Wild Honey is unanimously opposed to it. All That You Can't Leave Behind places three titles above 200 in our ranking, a hell of a performance! 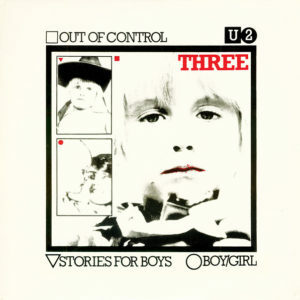 Boy/Girl belongs to the top three of the first three tracks released on the EP "Three". But he's the only one who won't end up on the Boy album and who will quickly and definitively get rid of the band's setlists. Is this any indication of its quality? If music can communicate a certain freshness, it must be admitted that the whole is quite weak and the words of a confusing nonsense. A bass loop on which The Edge improvises some chords while Eno plays with his synthesizer, here is in essence what Bass Trap, the B side of The Unforgettable Fire single, offers us. The melody is far from being bad but does not prevent the title from being in line with the band's useless instrumental B-sides. Note that a long version of more than five minutes was released on the Best of 1980-1990, without making this song more interesting. Written for Ali at the time of The Joshua Tree, Sweetest Thing is a poisoned gift. On the cheeky and unpretentious B-side of Where The Streets Have No Name in 1987, his career should have ended there. 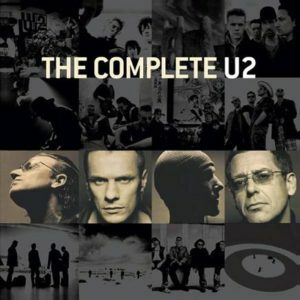 But U2 will release it in 1998 as a single to promote its first best-of, putting a radical and unequivocal end to the Pop period and all its music of the 90s. Finally Sweetest Thing conveys very bad waves and asserts itself as the fateful symbol of the Irish artistic back pedal. A title to be burned in the public square. Fans of slogans will remember Rejoice's famous "I can't change the world, but I can change the world in me" which, even today, could still be sold on a few tshirts. The others will skip this bad track from October (one more) that the riff of The Edge, although omnipresent, can't save. 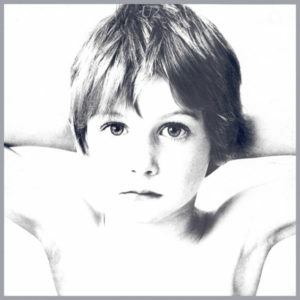 Shadows And Tall Trees is the only track from U2's very first studio sessions in 1978 to have ended up on an album. Its presence at Boy's closing is interesting because it stands out for its rather slow rhythm, at one time U2 was more comfortable making noise than walking. However, it is penalised by its final draft and seems to have fallen completely into oblivion. 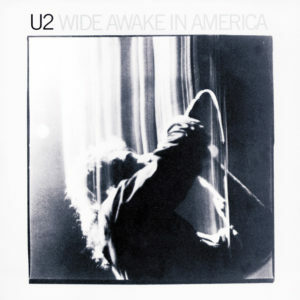 The Three Sunrises, released on the B-side of the Unforgettable Fire single and on the EP Wide Awake in America, shows that in 1984 U2 began to significantly improve the level of its B-sides. But despite a certain potential on the guitar, this track - far too loud and disjointed - didn't have enough to claim to end up on an album. Where Did It All Go Wrong is built on an interesting text based on a succession of questions, and this is his main feat. On the B-side of the Achtung Baby era, it reflects the sound of the time while venturing into a good mood absent from the album. The similarities with Lady With The Spinning Head are obvious, but we are far from the excellence of the latter. A retarded cousin at most. 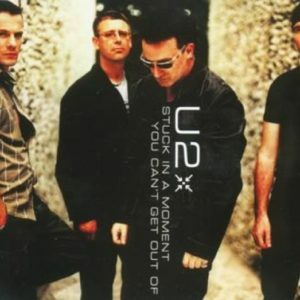 Ten years later, we are still wondering what U2 tried to do when they released their album No Line On The Horizon. Released as the first single, and supposed to be the spearhead or even the hit of the album, Get On Your Boots turned out to be a real UFO. If the (laudable) intention to take the audience against the grain and to get off the beaten track is palpable, the title quickly proves to be indigestible, overworked, overproduced and frankly missed. Its live version didn't help and didn't convince anyone in nearly two years of touring. 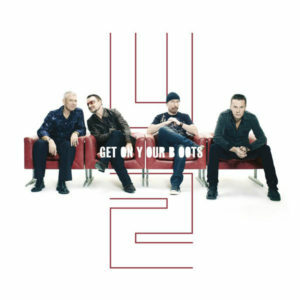 Get On Your Boots will probably remain the worst first single of U2's career. Desert Of Our Love is a studio demo that will eventually lead to I Still Haven't Found What I'm Looking For. A track that should never have reached our ears without the need to fill a bonus disc for the re-release of The Joshua Tree. 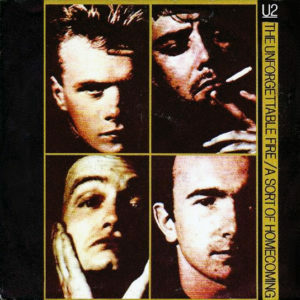 On this track Bono is heard in full improvisation, inventing the lyrics live, mumbling when he doesn't know what to sing, announcing the chorus and the beginning of a verse. Interesting to listen once to understand the creative process of the group, then throw it away. The band says that Adam and Edge were recorded without knowing it when they were working on this track in the studio. This may explain the disconnected and unfinished side of the piece. 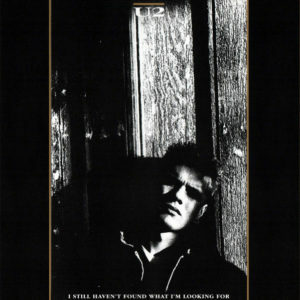 Released on the B-side of I Still Haven't Found What I'm Looking For, it did not remain in the memories and only its chorus catches the ear a little. Love You like Mad has something interesting, it contains the snippets of what will become Vertigo and All Because Of You. And yet this demo dates from All That You Can't Leave Behind sessions four or five years earlier. It also contains the same bridge that will be found on Always, on the B side of Beautiful Day. A funny patchwork that shows us that with U2 nothing is lost. Nevertheless, the whole remains rather indigestible and soulless. MLK is more a prayer than a song. 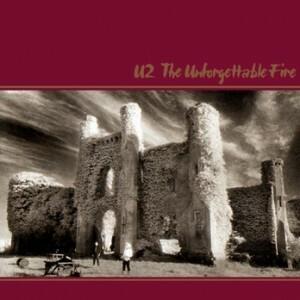 Bono appears alone, accompanied by a discreet instrumental track played by Brian Eno on the synthesizer. Musically uninteresting, the title was mainly marked by its subject and for reasons more related to myth than to its intrinsic quality. 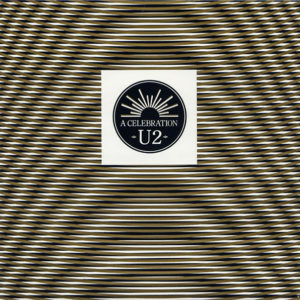 A Celebration was released in 1982, between October and War, probably because it was necessary to occupy the field and avoid being forgotten while the group was working on War. It is obvious that if this track had been better, the band would have kept it warm to put it on its new album. Rarely, the title is so weak that it will quickly be overshadowed by its B side, Trash Trampoline And The Party Girl, yet far from being a masterpiece but acclaimed for its live performances. 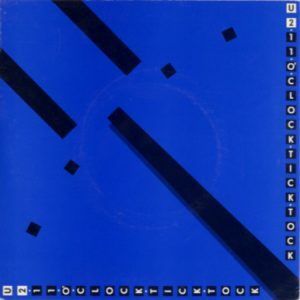 Released on the B-side of 11 O'Clock Tick Tock, Touch is one of those tracks that reminds us of the laborious U2 of the beginning, at a time when the band sounded like a band playing in a kitchen and Bono hadn't yet learned to sing. The chorus is catastrophic and the whole thing is very painful. To listen to to measure the progress made. Not content to already have a track called Rejoice on the album, Bono decided to add Scarlet whose lyrics are only a continuation of "rejoice" without any other interest. Should the highlight of these ecclesiastical celebrations really have been put in? The weirdest part of all this will still be the incomprehensible reappearance of the title on stage in 2011. Somewhere between heaven and hell, there is this average track, not finished, close to musical improvisation if we believe the wobbly but nice solo of The Edge on guitar. Strangely enough, the title seems more accomplished in terms of lyrics, proof that Bono had perhaps invested a little more in it than the others. This ballad would have detonated on Achtung Baby by its slowness and jazzy side, and this is probably what will explain its abandonment during the recording sessions. 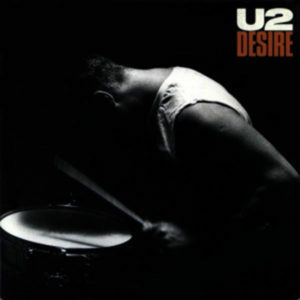 Released on the B-side of Desire's single, Hallelujah (Here She Comes) seduces with its soothing side and its delicate orchestration based on Edge's acoustic guitar and Brian Eno's contributions to the organ. 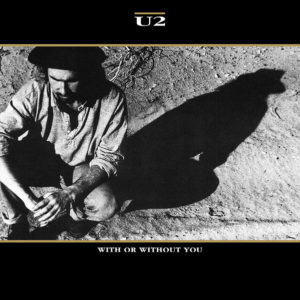 A nice gospel rock song with a good B-side and a good reflection of the sound of U2 at the time, but probably not up to the task of being on the Rattle & Hum album. To listen once in a while for the memory. This is a standard title from the October album, which is far from being a compliment. We are bored and Larry's battery sounds particularly painful. The song never seems to want to stop. 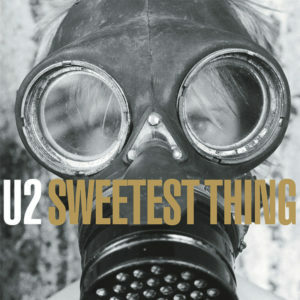 Bono said that this title was about him looking in the mirror and wanting to break what he saw there. By looking at October, we understand this kind of desire much better. Apparently Big Girls Are Best was conceived during Pop's recording sessions. The bass is clearly the pillar of the song and there is a vague resemblance to Holy Joe, which would tend to confirm this hypothesis. However, the track is too weak to be included on an album and it is finally on the B side of Stuck In A Moment that it will be released. If there is little doubt that the band had a good time recording it, the same cannot be said when listening to it.